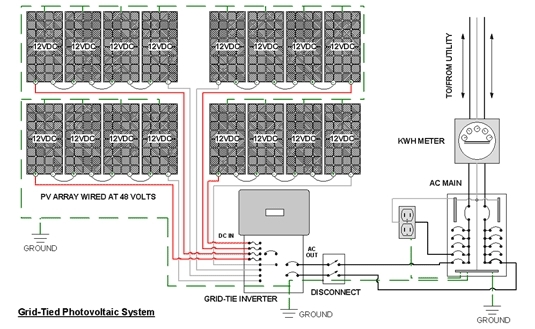 Home » News » What is Grid Tie Photovoltaic Solar System? What is Grid Tie Photovoltaic Solar System? Grid tie solar system need no energy storage and therefore eliminate the greatest hassle (and the greatest expense) of a stand-alone installation. The grid acts as your energy reserve. No energy wasted – any surplus electricity is contributed to the grid. Grid tie solar systems is particularly worthwhile during periods of absence, during week-ends or holidays for example when your modules continue to churn out electricity. No losses due to the battery storage process (when the battery is already fully charged for example). You don’t have to carefully calculate your electricity needs or make contingency plans for exceptionally high demands, even though they’re very rare. You can start out small and grow later without complicated sizing problems. You can decide to meet only part of your needs or all of them – or even more. How Does Grid Tie Photovoltaic Solar System Work? This truly is the way to go if PV is to become part of our daily lives. 2.A special inverter that transforms the panels’ current so that it’s compatible with the grid’s specs. It’s the “interface” between your system and the electric company. 3.An electricity meter (usually two, actually). Ideally the panels produce more or less the amount of energy consumed by the house’s inhabitants. 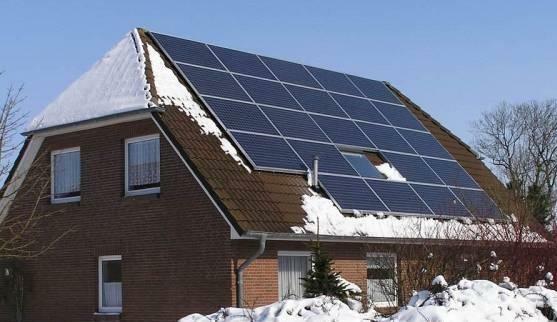 Whenever the panels’ output is less than the needs of the household, the grid supplies and meters the difference. The grid acts like a battery. When the panels produce more than the household needs, when the occupants are away, for example, the “surplus” energy is available for other consumers connected to the grid, and your meter will “run backwards,” although in most cases, it will be a second meter to record the flow of electricity in the other direction. The owner of the PV system will be reimbursed for his contribution to the grid in areas where there is net metering laws. In other words, you can forget about all the tedious technicalities relating to batteries, charge controllers, diodes, DC and AC, and the problem of sizing suddenly becomes smaller!